"My co-worker is always happy and positive and she is always sharing the word with me. She gave me an Encounters of Hope gift card and I was really impressed with this website as I went through, it is awesome and I cannot wait to start reading my e-book." "It showed me God's love in a practical way. Thank you so much!" Thank you to this organization for the opportunity for me to refocus and recommit not only my faith in Christ, but as a reminder of the example of who I am to my son, just as Christ is the example of the person whom He wants me to be. "I was enjoying a walk with my twin daughters laughing taking in every moment.I get very few days to spend with them. I work two full-time jobs to make ends meet and take care of them and their 10 month brother. But still make time to be the best daddy I can be. Hiding the worry and stress that I deal with everyday. Always with a smile, joke,hug and an encouraging word. Then a lady and a gentleman stopped me and gave me a $100 gift card! All they asked for was to pray for me. I have been in a very dark place for a long time and who would of thought that one simple and selfless act could help renew my faith! GOD is good." "I am so thankful I received this Mother's Day gift as I suffer from depression and just the thought alone made me smile & thank God." "I have been having a hard time lately so when this random lady gave me this card in Wal-Mart I knew then that God was hearing my prayers." "Thank you, Just had a flood today so it comes in handy. Thank you for lifting me up!" 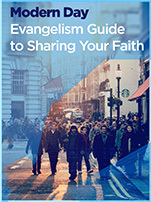 Want to join in on sharing your faith?